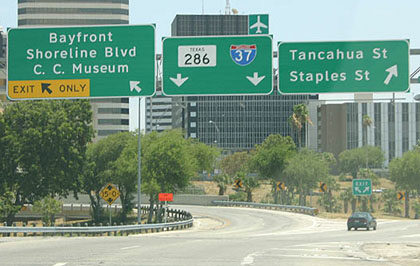 Drivers can take the left exit, or the right exit, or else commit to heading north on I-37. 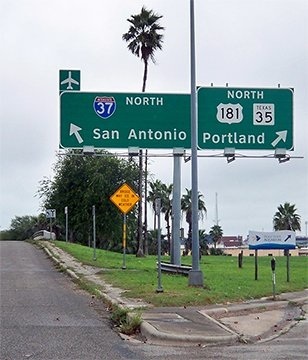 That is Corpus Christi Bay straight ahead. 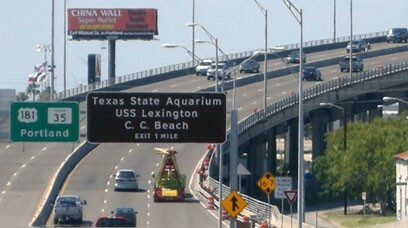 About 15 miles in that direction is Mustang Island, which separates Corpus Bay from the Gulf of Mexico. 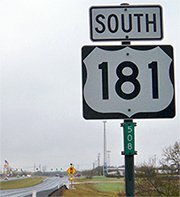 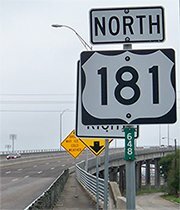 Before all these freeways and the Harbor Bridge were built, US 181 ended at a different location; more info and photos on the Corpus Christi page.